When you give consent to receive emails by subscribing, we'll keep you updated with a couple of emails a month. These will contain free resources like articles, recovery interviews, videos, as well as information on products like books and other online resources. You can unsubscribe at any time, here is a link to our Privacy Notice. Going Beyond Just Symptom Treatment Is Key! Many people spend years endlessly treating symptoms and trying one 'cure' after the next. When treatments that work for others don't work for you and when symptoms get worse seemingly without cause, it can be easy to become disheartened. But by understanding what is going on, small changes in your approach can suddenly produce more favourable outcomes towards recovery! 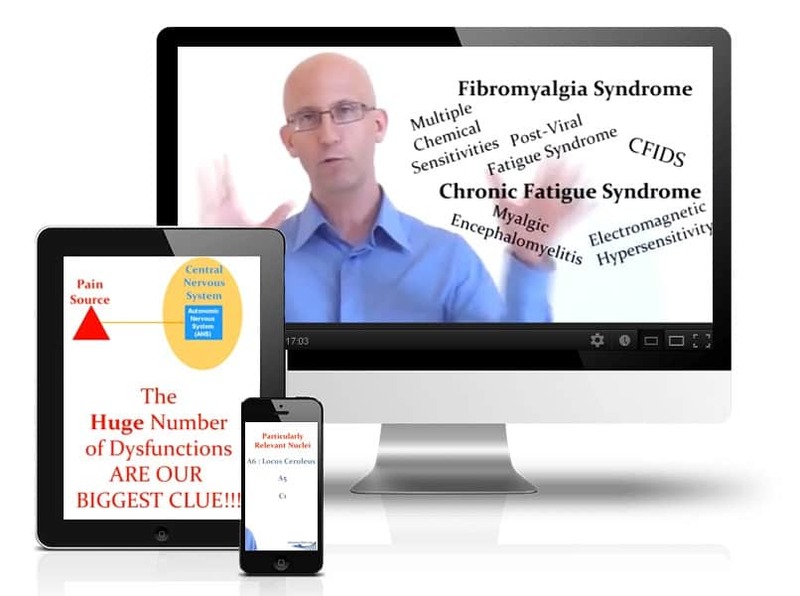 The biggest clue to the root cause and how it creates all the symptoms including pain and fatigue. Where it occurs and it's connection with the locus coeruleus. HOW and WHY people recover through so many different treatments and why they don't work for everyone. The process for recovery is not a magic cure, and so we discuss 5 key elements to start your recovery journey now.